Hot Stamped with gold leaf. 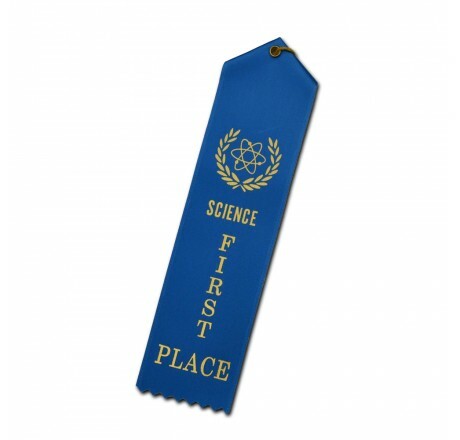 2" x 8" satin ribbon. Event card and string on back.